In the spring of 2011, P.J. Pacifico released his acclaimed studio album “Outlet” and set out to tour along the east coast. One specific show was capture for P.J.’s next release, a seven-song live EP. It was recorded in Southport, CT in May 2011. P.J. Pacifico will begin his tour on May 11 with a couple of shows in Greejwich and Trumbull, Connecticut before heading overseas to the Netherlands. P.J. will return to the states in mid-June with a load of dates that continue through October. His new live EP will become available on May 22nd through Viper Records. 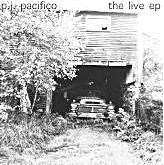 For more information and a complete list of tour dates, please visit pjpacifico.com.